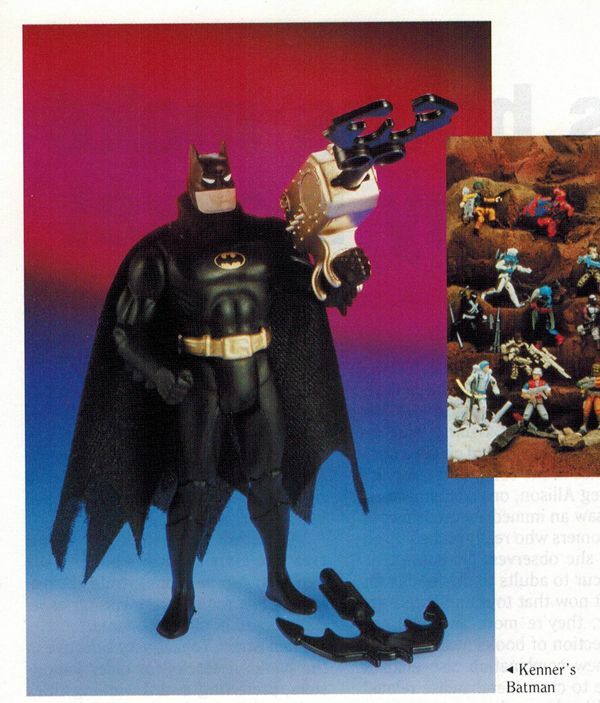 Just how hot was Kenner's Batman Dark Knight Collection toy line in its first year (1990)? 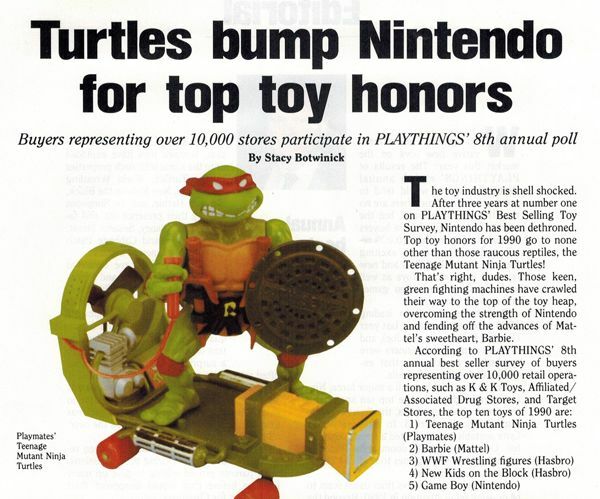 This article from Playthings magazine has the scoop... 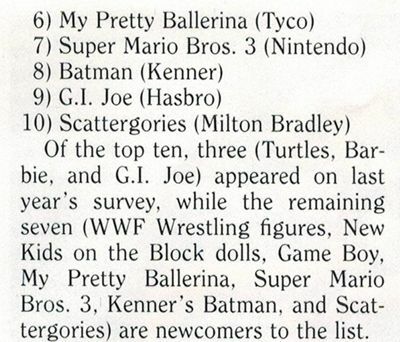 I find it absolutely amazing that a toy line that didn't even have a full year on the shelves AND based on a movie that came out a year before its debut managed to even crack the top 10, let alone beat a powerhouse like G.I.Joe. 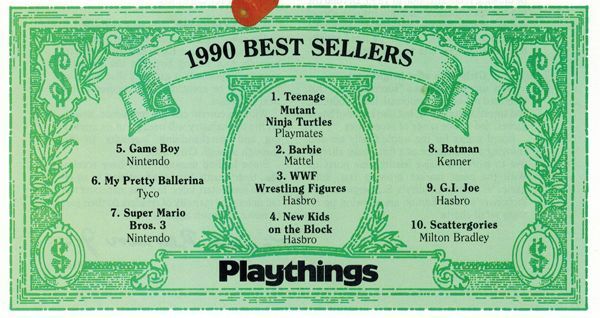 Just goes to show you how strong Batmania '89 was- The hype carried over for years. Accompanying the article is this great closeup shot of the Crime Attack Batman mockup figure (simply a repainted Super Powers Batman). I LOVE seeing these early prototypes for the line in such clarity!